During the 20 years I have been a Huntersville resident, I have seen and experienced growth first hand. Not long after moving to Huntersville, I knew growth was on its way. I decided to become involved and invest in order to have an impact in how our town would grow. 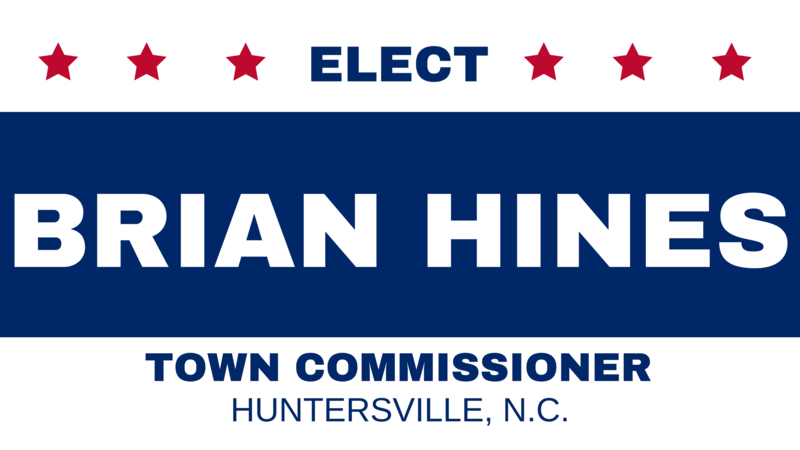 Over the years, I have been involved in a zoning rewrite, a member of the East Huntersville Steering Committee, and represented the planning board as Vice Chairman for many years. As the town continues to grow, even at a faster rate than most would prefer, there is no more crucial time for me to step up and serve the community I call home. Together we can help shape and mold this great town for the next 20 years. If you have any questions, please don’t hesitate to reach out to me directly at 704-949-0171.